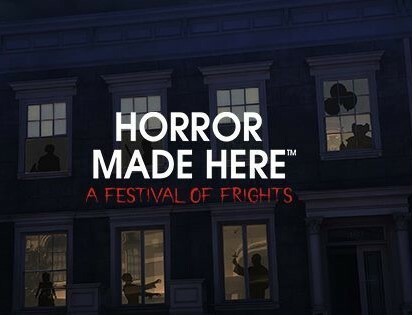 More than a studio tour with a seasonal overlay, Warner Bros Horror Made Here is a multi-haunt attraction featuring mazes based on its own horror movie franchises. Convincing settings, eerie additions to the back lot tram ride, and a behind-the-scenes look at real studio props and costumes combine into an event that feels like a large-scale Halloween block party. 2019 Dates: None. The Haunt is going on hiatus. 2019 Update: In April, Warner Bros sent a mass email announcing that Horror Made Here would not be open for Halloween 2019. Disappointed fans were advised to check the event's website for possible announcements in 2020. 2018 Notes: There were walk-through mazes based on IT, Arkham Asylum, and The Conjuring. Other attractions included The Exorcist: Forbidden Screening (excerpts from the classic film with in-theatre fx) and a "Nightmare on Camp Crystal Lake" overlay on the back lot tour, mixing Freddy and Jason. This night-time event adds a Halloween overlay to the studio's year-round back-lot tram tour, plus mazes and other horror entertainment, all based on Warner-owned franchises. There is a party-like atmosphere in the central square that forms the hub of the event. Ticket sales are supposed to be kept to reasonable levels to prevent overcrowding. The event is for ages 13 and over.